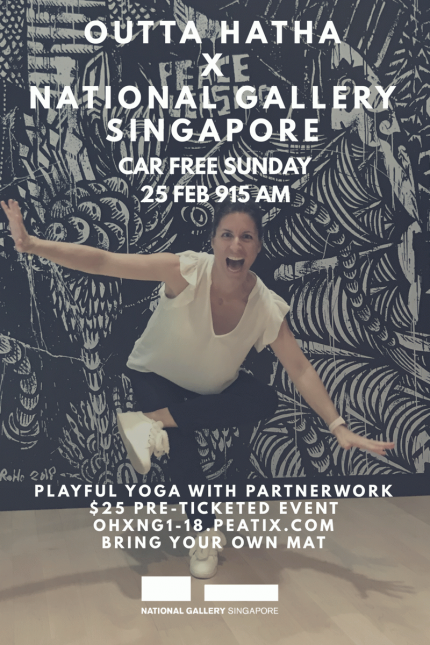 Join Outta Hatha for our first Car-Free Sunday yoga event of 2018 at National Gallery Singapore. For this event, we will be exploring "Playful Yoga with Partnerwork" with our zany instructor Manale! Let’s take this first event to create new and deeper connections with our partner, friends, family and even strangers. Through playtime and fun yoga movements, we will build friendships; discover something new about ourselves and the people we share our lives with; and meet new people and share a moment with them! Bring your partner, kids, parents, siblings and yoga buddies for this session, or come prepared to meet someone new! 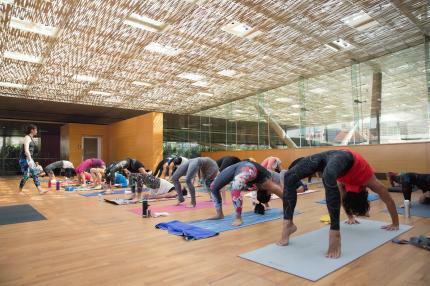 Take this opportunity to join the Outta Hatha family and be part of our community! Manale discovered yoga during the time she was building her own consultancy as a cross-border business consultant. She was a new mum, and needed something to get her back into shape while at the same time, guide her in her challenging new adventure. 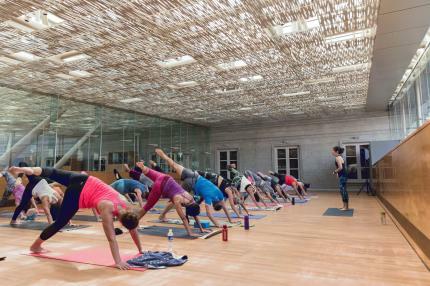 Yoga helped, and it unexpectedly became an integral part of her, and her family. 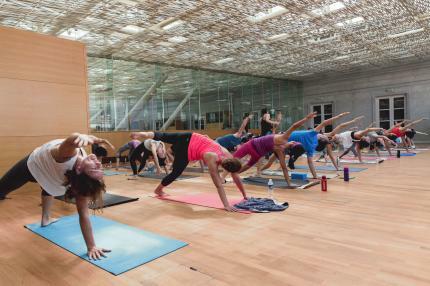 Now, she is navigating her career towards a more holistic, loving and powerful one by teaching yoga. Manale strives to teach and share with others what she has learned throughout her life and her practice as a lawyer, a mum, an expat, an entrepreneur and a cross-border business consultant.She empowers people to grow on and off the mat for a harmony in work and family, and a balanced life. Manale’s core values are growth, integrity and awareness. She believes that life is not always about success and victories. It is about acknowledging our vulnerability, being ready to fall and fail, and to the always grow. You'll find her on the mat in colourful yoga pants!